All Pro Dental Care (Fairfax) - Book Appointment Online! At All Pro Dental Care, you and your family’s oral health is our main concern, your comfort is our goal. Our doctors are dedicated to providing you with comfortable, personalized and quality dental care. 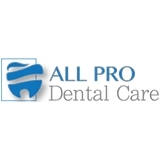 All Pro Dental Care offers many dental services in a modern setting for the whole family. Our office is technologically advanced. We use digital radiography which is faster, more diagnostic and has less radiation than conventional x-rays. We also utilize an intra-oral camera which allows us to take photos of teeth and see them at a greater magnification. Come and see us and enjoy a relaxing dental appointment in one of our massaging chairs. Let All Pro Dental Care take care of your smiles and your loved ones’. My family and I have been under Dr. Mai exceptional care for over 3 years. We always get very respectful and professional treatment. Never had any long wait time or any sort of inconveniences or complaints. Highly recommended. I was so glad to see my dentist! Some doctors move around a bunch, so I was very relieved to see Dr. Alkishtaini. She has such a great bedside manner! For anyone looking for a great dentist, she is the one!